- 7 x 0.85g/ 0.03oz. Marc Jacobs Beauty's 'Eye-Conic' eyeshadow palette made its debut on legendary pop artist Cher at the 2017 Billboard Music Awards - the metallic shade was applied to the center of each lid to catch light from every angle. 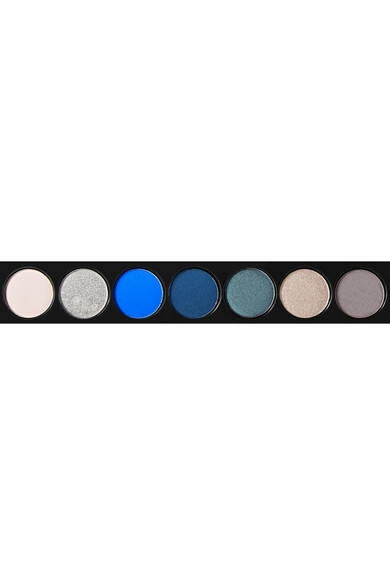 Tucked into a sleek, oblong compact, 'Smartorial' features seven richly pigmented hues ranging from cobalt to dusty-gray in silk, satin, velvet and lamé finishes.